The first thing you need to know about Seasons for Trout is that it teaches you all about the insects trout eat, especially in Western North America, and about how to use that knowledge both to improve your fishing and to discover the fascination of the life in a trout-river. The second thing you need to know about this book, is that many of its chapters include QR codes to take you directly to video segments that support or add to the chapter’s ideas. 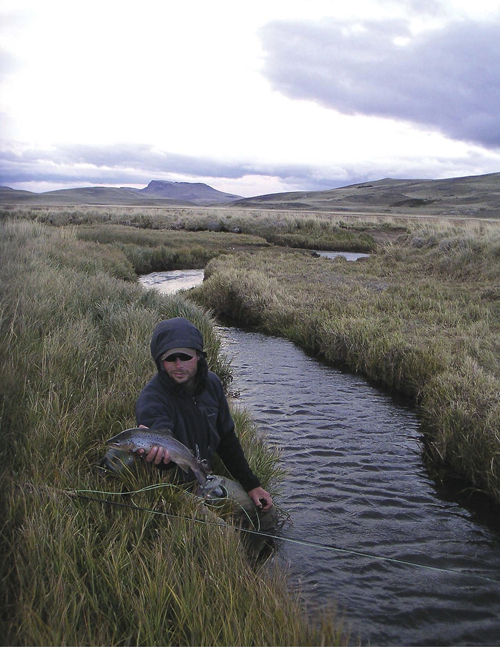 The third thing you need to know about Seasons for Trout is that, as its title implies, it’s about how to fish effectively no matter the time of year or the weather or the condition of the water. If the water’s low and air-clear in autumn, Rick, Dave, and Skip will tell you how to hook the skittish trout in that thin water. 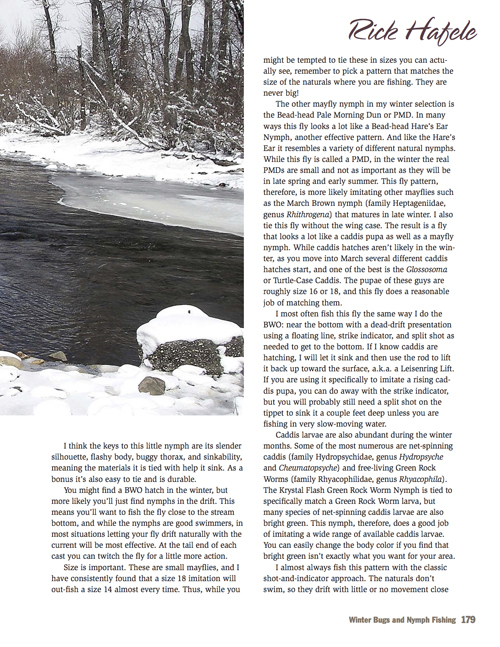 If the river’s brimming with the cold springtime flows of rain and runoff, they’ll provide you with insight and strategies for catching trout under these difficult conditions. They’ll show you the fine inner workings of that revered day’s-end bonanza fly fishers call the “evening rise,” and help you fish it successfully. And that’s just the start. 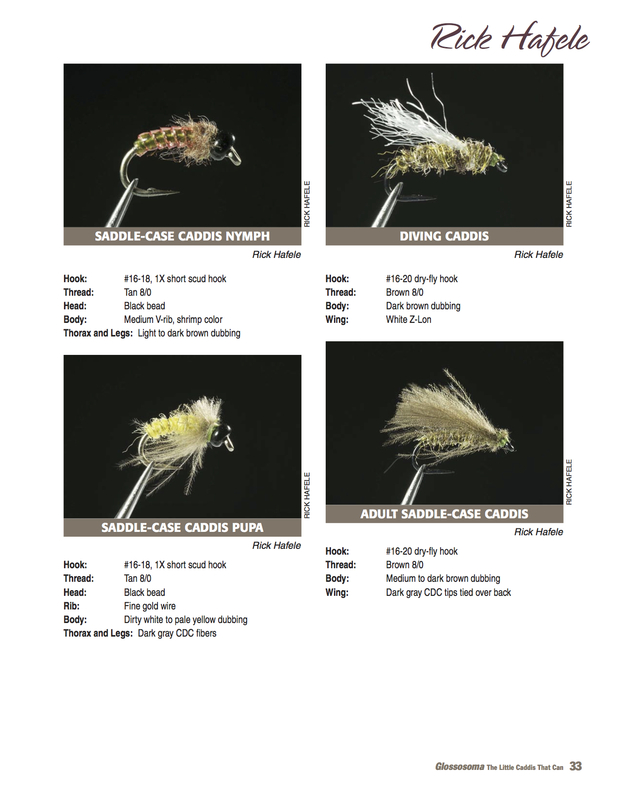 Want to know when and where to find that mainstay mayfly of the long summer season on western rivers, the Pale Morning Dun, and how to fish the hatch so you consistently take those single-minded trout, whether they’re taking the nymph, emerger, dun, or spinner? How to present your PMD imitation of one of those stages convincingly in front of a trout? All this is covered and much more. 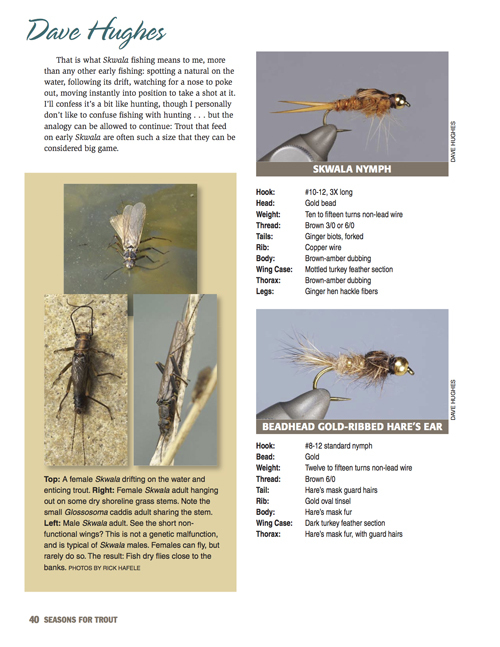 Same goes for the long off-season-reigning Blue-Winged Olive mayfly—the tactics, the flies, the timing and strategies. 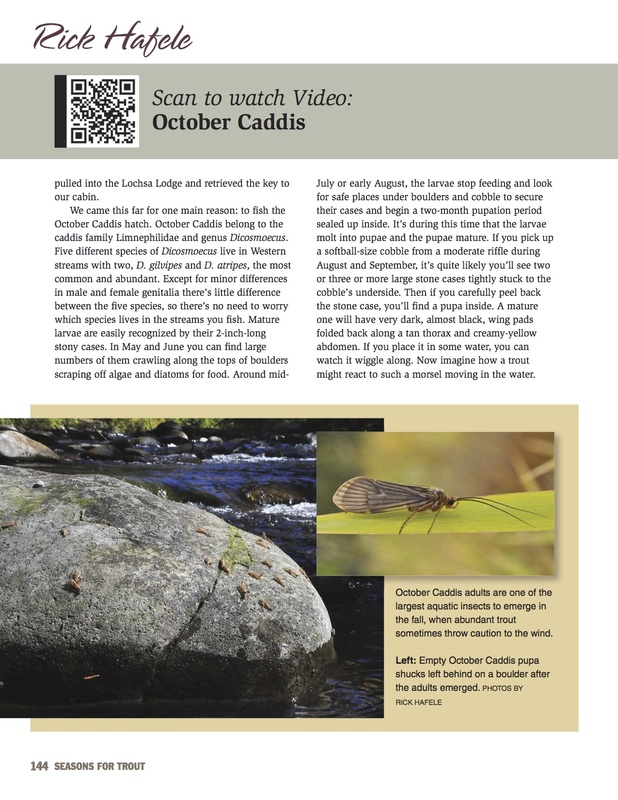 Same goes for the October caddisfly. The midge. Same goes for a bunch of important insects trout seek in and atop your rivers. Then there are the terrestrials—ants, beetles, grasshoppers. You’ll learn five important lessons for effectively fishing grasshopper flies. The when, where, and how of fishing beetle imitations. And finally, all about ants and trout rivers. Rick Hafele worked for decades as a fulltime entomologist for the state of Oregon. Rick has written other books for fly fishers, wrote a column for American Angler magazine for many years, and wrote one third of the chapters for this book. Dave Hughes has written over 20 fly-fishing books and too many magazine articles on fly fishing and fly tying to count. Dave wrote one third of the chapters in Seasons. Skip Morris is, well, if you’re reading this on his web-site you probably already know who he is. Skip wrote the remaining third of the articles for this book. 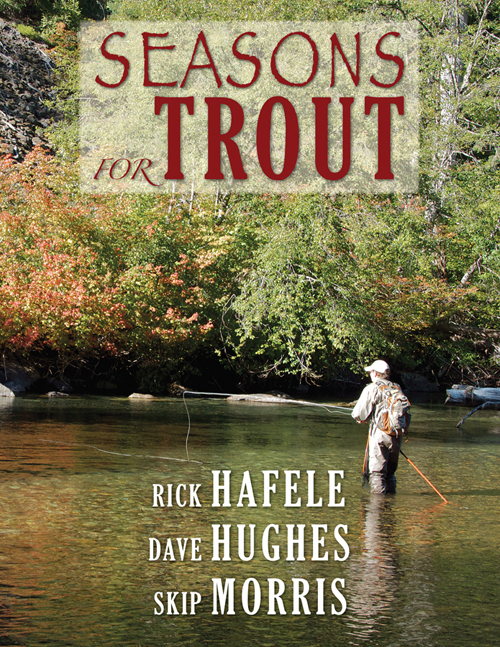 You can buy Skip's book, Seasons for Trout, from The Fly Shop (Redding, California), one of the biggest and most trusted fly-fishing mail-order houses in the business.